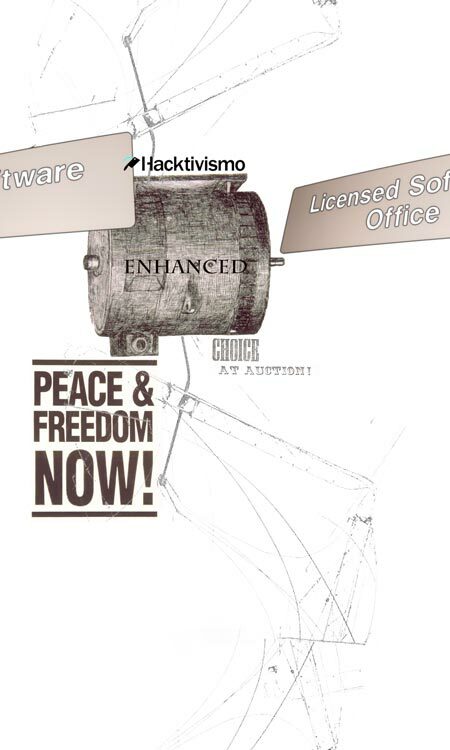 Software that Hacktivismo releases under this License Agreement is intended to promote our political objectives. And, likewise, the purpose of this License Agreement itself is political: Namely, to compliment the software's intended political function. Hacktivismo itself exists to develop and deploy computer software technologies that promote fundamental human rights of end-users. Hacktivismo also seeks to enlist the active participation and involvement of people around the world, to help us improve these software tools, and to take other actions (including actions that involve using and distributing our software, and the advancement of similarly-minded software projects of others) that promote human rights and freedom worldwide. The Freedoms We Promote: When we speak of the freedom of end-users, we are talking about basic freedoms recognized in the Hacktivismo Declaration, the International Covenant on Civil and Political Rights,the Universal Declaration of Human Rights, and other documents that recognize and promote freedom and human dignity. Principal among these freedoms are: Freedom of Expression, Freedom of Collective Action and Association, Freedoms of Thought, Conscience, Sexuality, and Religion, Freedom of Privacy. Developing a new software license is never a trivial task and this License Agreement has presented special challenges for Hacktivismo. Because of our human rights objectives, this License Agreement includes some specific terms and conditions that, as a technical matter, depart from the previously-recognized and established definitions of "free" software and "open source" software. We have therefore coined the term "enhanced source" to describe this License Agreement because we have sought to combine most of the freedom-promoting benefits of "free" or "open-source" software (including mandatory disclosure of any changes or modifications Licensees make to the source code, whenever they release modified versions of HESSLA-licensed Programs or other Derivative Works), with additional enhanced license and contractual terms that are intended to promote the freedom of end-users. The Hacktivismo Enhanced-Source Software License Agreement promotes our objectives in an enhanced manner by including contractual terms that empower both Hacktivismo and qualified end-users with greater flexibility and leverage to maintain and recover human rights, through the mechanism of the contract itself including terms that are designed to enhance both our enforcement posture and that of qualified end- users in court. To be sure, Hacktivismo enthusiastically endorses and supports the goals and objectives of the Free Software movement and those of the open source community. In particular, we owe a special debt of gratitude to the Free Software Foundation, to the Open Source Initiative, and to many exceedingly talented people who have contributed to Free Software and open source projects and endeavors over the years. From "The Hacktivismo Enhanced- Source Software License Agreement Version 0.1", november 25, 2002.